Ditron Dental’s internal hex prosthetics portfolio provides comprehensive solutions for all indications. From single unit restoration to full one or two stage arch restorations, immediate or delayed loading procedures, you will find an implant/prosthetic combination that addresses all clinical situations and meets the best needs of your patient. Our in house high precision turning, milling and micro-machining ensures that all abutments are delivered with the highest quality and precision. 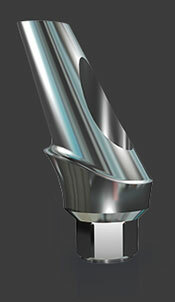 Biocompatible medical Grade 23 Titanium alloy is used for all Ditron long term prosthetic solutions. Abutments and components fit all standard hexagonal locking systems. Using Ditron Dental’s prosthetic parts will ensure the perfect connection between implant & abutment (MolecuLock™). 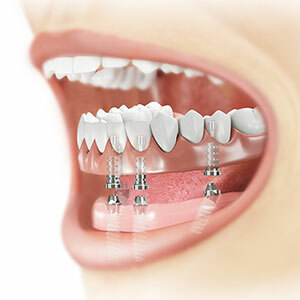 The same connection platform is shared by all implant diameters – from 3.3mm up to 6.0mm. 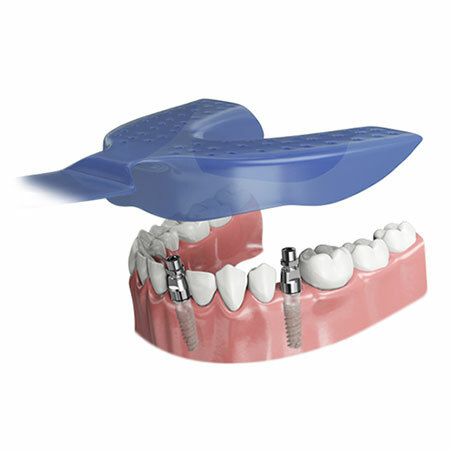 Ditron Implants offer a range of impression coping options of both open or closed tray impression coping protocols. Accurate recording of implant location is required so that definitive restorations are properly supported and do not place additional stresses on the implants. Ditron’s impression coping range enables simple and highly accurate restoration planning from a single tooth to a full denture. The Ditron anatomical healing caps were specifically designed to guide and sculpt gingival healing by replicating the anatomy of the original root form. This provides a natural and aesthetic emergence profile for the final restoration. 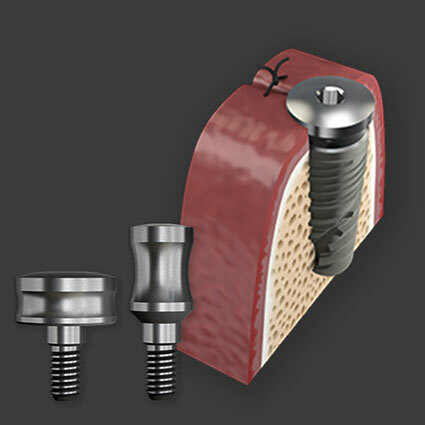 To ensure the length of the implant above the gum tissue, the anatomic healing caps are available in various widths and heights. 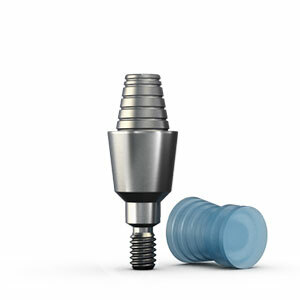 Allows immediate aesthetics and function with versatile temporary abutments. 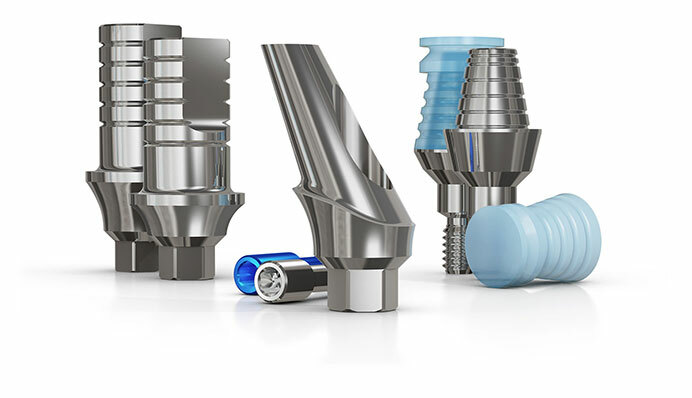 Our temporary abutments can be used with immediate loading, avoiding a second-stage procedure and reducing chair time for both clinician and patient. Available for all Ditron’s implant lines for cement-retained temporary multiple units. Ditron Dental’s aesthetic abutments for cemented restorations combine simplicity and functionality. These specially designed abutments provide a better aesthetic gingival contour during the restorative phase than can be achieved with a standard designed abutment. All restoration goals can be achieved using straight and angulated abutments (0°, 15° and 25° angulation in reference to the longitudinal angle to the implant). A passive fit of the implant crown over the cemented abutments limits the transfer of stress to the implants and will provide excellent aesthetic results. The Ditron Dental Multi-Unit abutment system is designed to provide optimal aesthetic outcome in a multiple unit, screw-retained restoration. 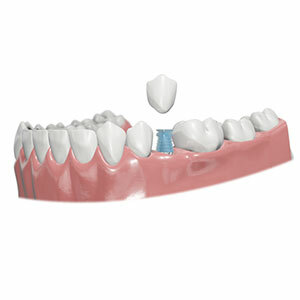 The Multi-Unit abutment system is commonly used as a hybrid restoration allowing both fixed and removable restorations. 100% MolecuLock™ connection compatibility with all Ditron Dental implants. Ditron Dental’s Multi-Unit screw-retained abutments give you the ability to use surgical protocols that place implants both on and off-axis. Maximize the use of available bone, avoid the alveolar nerve and sinus and minimize the cantilevers for the prosthesis. Ideal for both immediate provisional load or at a later date restoration via traditional two-stage protocols. 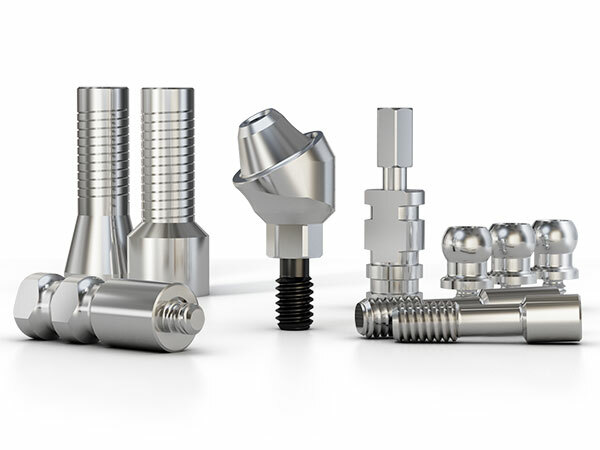 All Multi-Unit abutments are made of biocompatible Titanium Alloy Grade 23 and are rigorously tested for strength and durability. 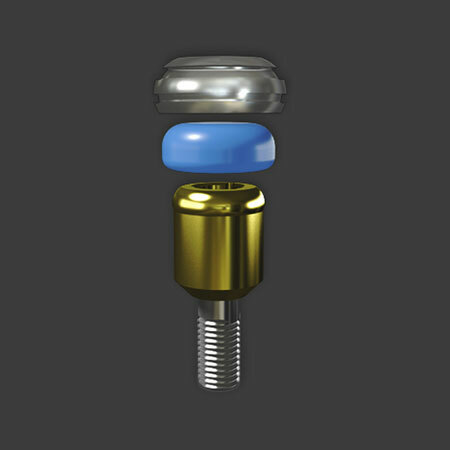 Easy to insert and remove by your patients, Liberator™ abutments are designed with 4 retention forces coupled with a low vertical profile. 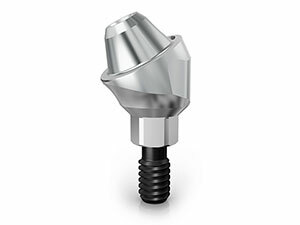 Innovative swivel capability of the Liberator™ abutment increases the attachment’s resiliency and tolerance for the high occlusal forces during chewing. 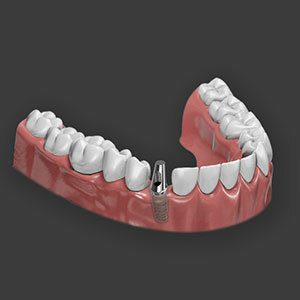 Exceptional durability and self-aligning design provides ease of seating the denture by the patient. © All Rights Reserved to Ditron Dental.